My friend Darin posted a picture of oatmeal pie on her blog a few weeks ago, and I have been wanting to make it ever since. I found a few recipes, and altered them a bit to find something that I thought would work. I don’t like things super sweet, so I cut down the sugar a lot. I also really like the toasted flavor of lyles golden syrup (my mom carries it at the At Home Store), so I substituted it for the corn syrup I saw in many recipes. And I added a lot of chopped pecans, some cream, and a dollop of yogurt for good measure. The final recipe came out like this. 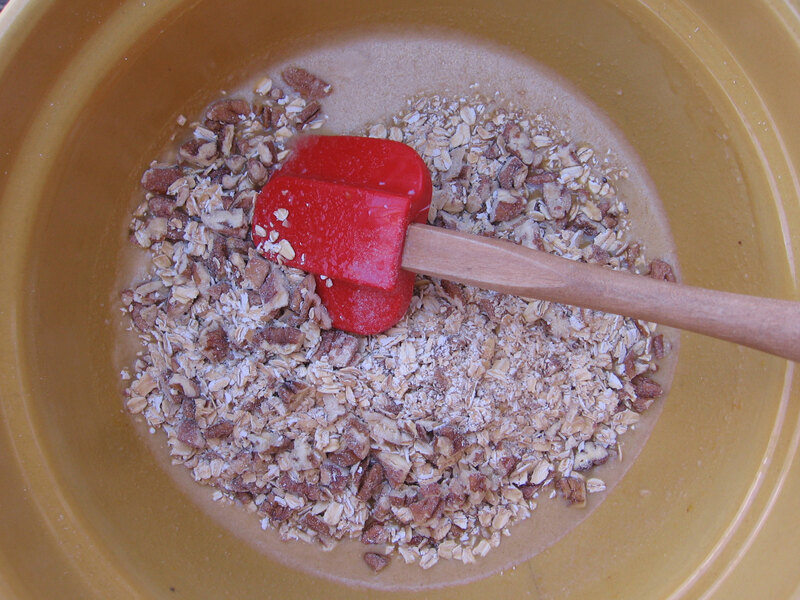 Stir the wet ingredients until everything is nicely mixed together. 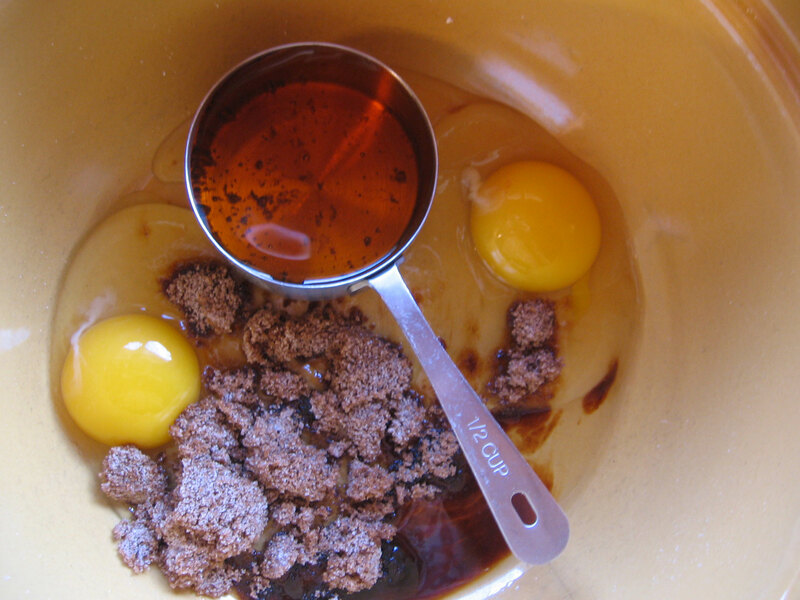 Add the dry ingredients, and mix thoroughly. 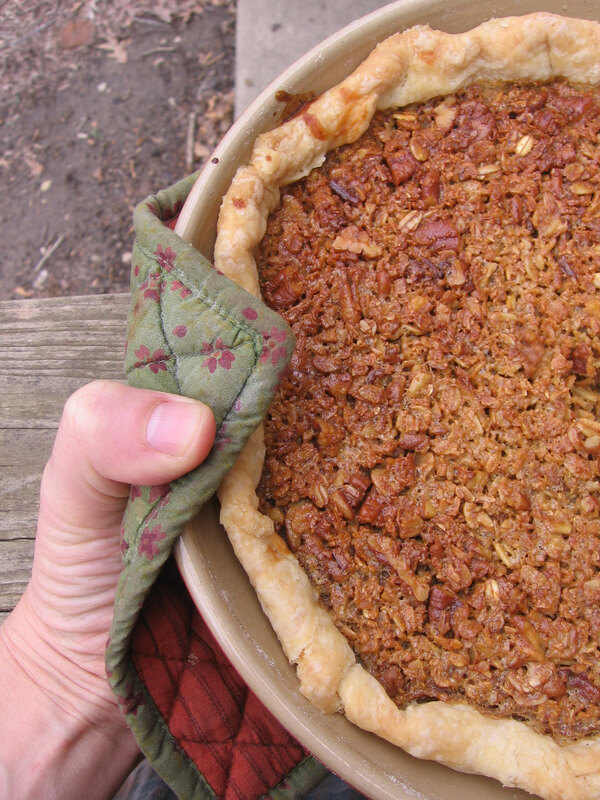 Pour into 9″ pie crust. Bake in a 325 degree oven for 50-55 minutes. It will be a little bit golden on the top. 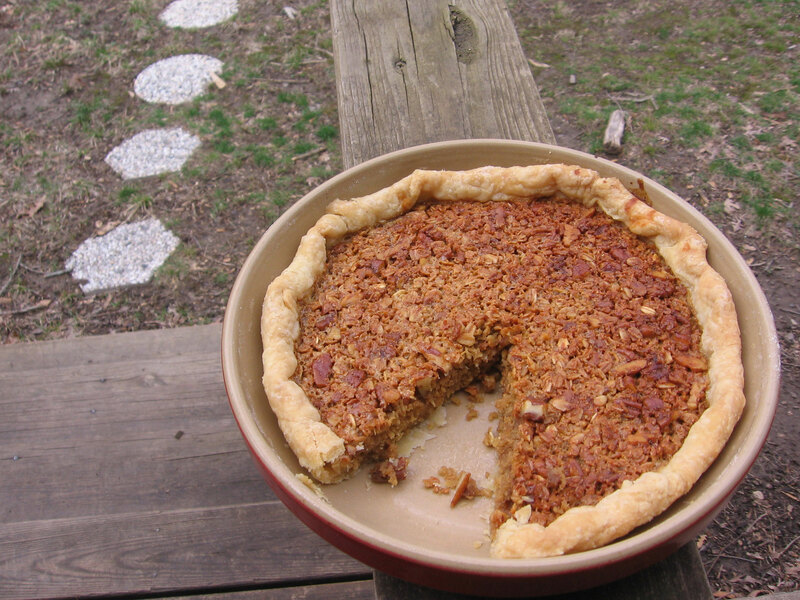 The pie isn’t very sweet, and is a little bit crumbly, but I like it that way. It is very rich, but can almost pass off as healthy because of the lower sugar content. I’ve never heard of oats pie, and now I’m really intrigued! Thanks for sharing.